K&B products have followed strict national & international guidelines to produce the products to the highest quality, the products also include organic ingredients such as Aloe Vera - sourced in the UK. 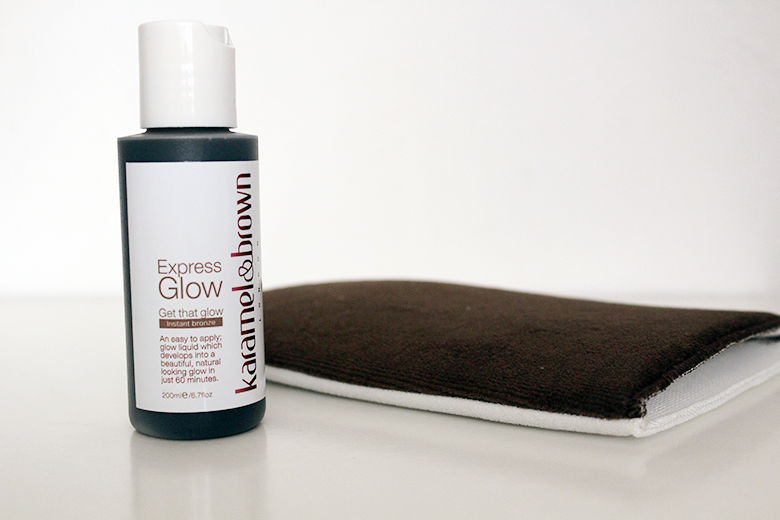 I have the Karamel & Brown Express Glow* - Instant Bronze. Once squeezed out the bottle onto the mitt supplied by K&B it reminds me of Canadian Healing Oil - anyone seen / used that? 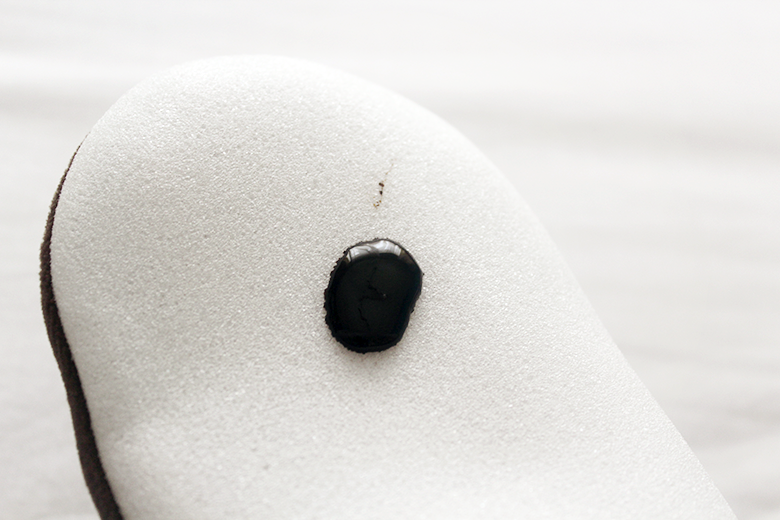 Just very dark in colour and it flows like a liquid so be careful as I did drop some on my rug as I went to apply it. It has an coconut scent in and out the bottle (which isn't listed within the ingredients) but once applied to the skin it has that typical 'tan' smell. 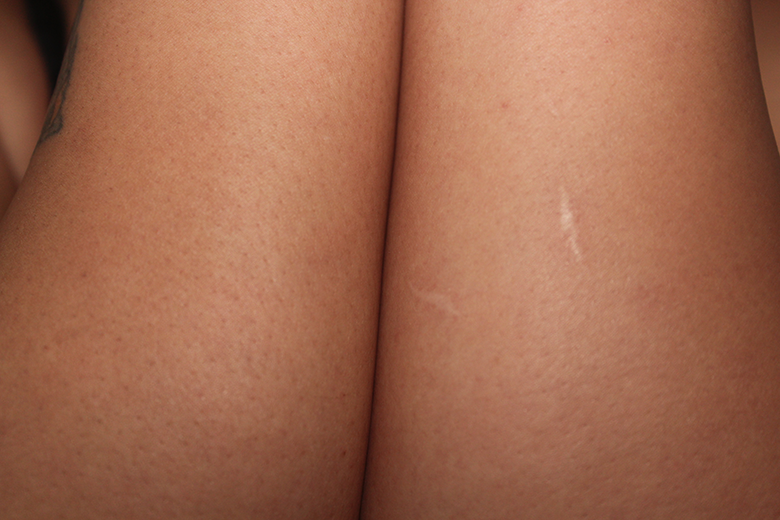 I took this picture about 5 minutes after I had applied the tan even thought it says a natural looking glow in 60mins. There is a significant change in colour. It's a nice brown that's not too overbearing. In person it looks quite natural too which I like. The smell does linger a bit on the arm, thank God I don't find it too strong, it does fade gradually! With the flash it's slightly obvious but not too much. So there's not much to worry about if your being photographed with flash as it still looks close to the skins natural colour. Have you tried Karamel & Brown for yourself yet? The beautiful very simple and very elegant.